Arthur Morgan doesn't have a huge health meter in Red Dead Redemption 2, and this guide will show you how to easily give it an upgrade. You unfortunately start out Red Dead Redemption 2 with a pretty meager amount of health for Arthur Morgan, and until you can upgrade the meter, life can be pretty tough. In this Red Dead Redemption 2 health guide, we'll be walking you through how to do exactly that, teaching you how to upgrade your health in Red Dead Redemption 2 as easily as possible. Elsewhere on USgamer, there’s our complete Red Dead Redemption 2 guides hub. 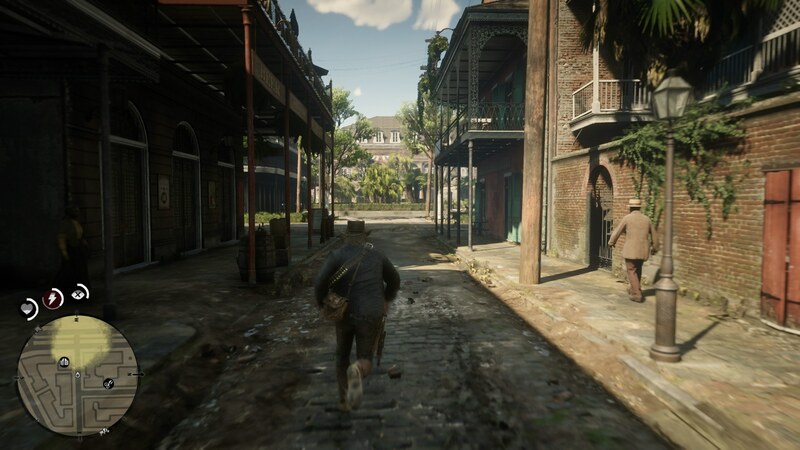 It’s on this central page that you can find our beginner’s guide to surviving the wild west, as well as a full index list of all our in depth guides on Rockstar’s latest. You can see Arthur Morgan’s health meter near the bottom left corner of the screen. It’s represented by a small circle just above the mini map on your HUD, with a small heart in the middle of the circle. Arthur Morgan’s health meter isn’t the actual heart within the circle, but rather the white line that runs around the outside of the circle. Every time you take damage, the line running around the circle will decrease, while the heart meter in the middle of the circle represents the speed at which your health bar will automatically replenish while you’re in combat. You won’t automatically start Red Dead Redemption 2 with your health meter full. Instead, it starts at roughly one third full, and you have to manually increase it from there, by raising your maximum health meter. To do this, you basically need to get into fights, be it shootouts, or brawls. Every time you take damage in Red Dead Redemption 2 through combat, you’re bolstering your maximum health. Your overall health meter can level up, and it starts on level 1, and every time you increase this level through sustaining damage, your overall health will increase. It’s not made obvious that this is how you increase your health meter in Red Dead Redemption 2, but it’s still handy to know. It's very easy to die in Red Dead Redemption 2, with Arthur easily eating dirt after just a few hits. While the "take hits to build health" system sort of penalises players who avoid taking damage, in the end you should see Arthur's maximum health increase substantially. If you're running low on health and near death you can also use a tonic to give you an instant boost. This might be the end of our Red Dead Redemption 2 guide on how to increase your overall health, but there’s plenty more guides to Rockstar’s game here at USgamer. You can check out our complete Red Dead Redemption 2 Deadeye guide, or our page on how to shave in Red Dead Redemption 2 for more.